Started on October 25, 2007, this site will be the place where I will post all of the information I have learned while taking apart and repairing my Porsche 959. 959 in for service at Callas Rennsport - Discussion here. 959 Owner's Manual Images - PDF File download - Discussion here. Link to pics here. Discussion of the prototype here. Original Porsche Factory 959 Assembly Photos from Stuttgart - Discussion here. Photos from the Quail 959 Gathering! WOW - Saw a 959 Prototype today, pics coming soon! Link to pics here. Also pics of Helmut Bott's prototype here. 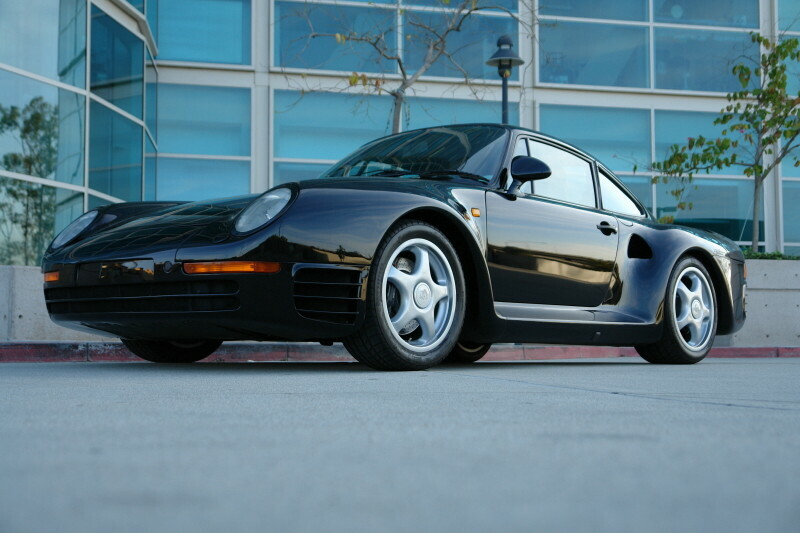 Exciting day at Callas Rennsport: Wayne's Evil Twin 959 was there! 959 spare parts list - what did I leave out? Pelican Board - Please Forgive My Past Sins and Accept my Penance!!! Reminder: PrePurchase Inspection is a must!!! Site Contents Copyright 2009 - No unauthorized duplication of photos or content permitted without permission of the author.